Alfa Romeo developed the Tipo 33 range through the 1960s and 1970s to compete in the major sports car championships around the World. 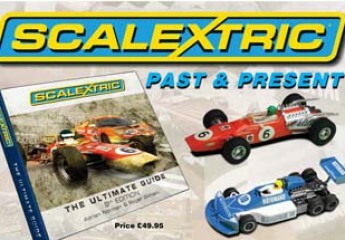 In 1961, Scalextric built a factory in Calais, France to satisfy demand fro Scalextric in mainland Europe. Whilst early models such as the Alfa Romeo 8C were exact copies of the English version, increasingly th French designs became more specifically made for what eventually became the brand ‘Circuit-S’ and ‘Scalextric-S’, the successor to Scalextric in France. The later French ‘Scalextric’ products can be identified by fully chromed hubs (not just the outward facing sides as per UK-made hubs), a different driver helmet and metric screws.